A lawsuit filed in Los Angeles County Superior Court by former Snapchat employee Anthony Pompliano alleges the company lied to him about Snapchat’s growth metrics and is now trying to destroy his reputation. 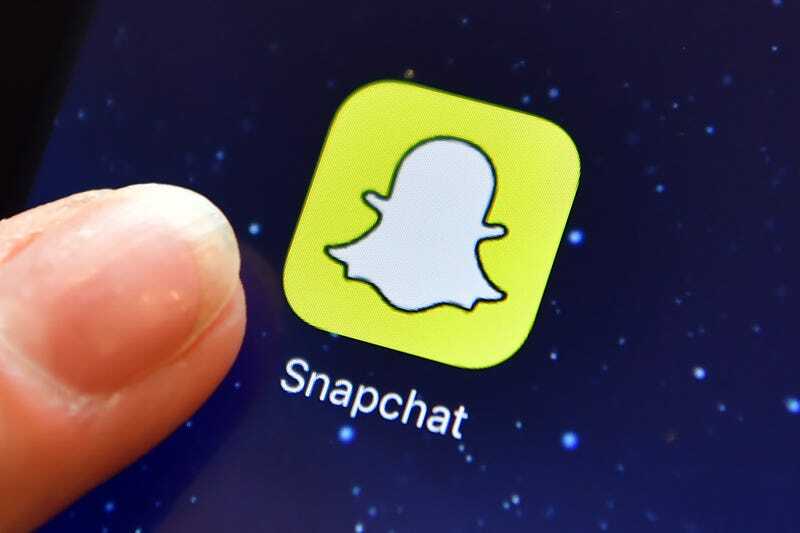 If the allegations in Pompliano’s lawsuit are true, it could spell bad news for Snapchat as the company is quickly trying to take itself public, which will almost definitely result in massive pay days for Snapchat’s executives and earliest employees. The lawsuit also offers a peek at the dirty underbelly of Snapchat’s Facebook envy. In the past couple of years, Facebook has shamelessly ripped off some of Snapchat’s most popular features, like ephemeral stories, and implemented them into Facebook properties, namely Instagram. Many see Facebook’s aggressive copies of Snapchat features as an attempt by Facebook to kneecap a serious contender to its dominance right before Snapchat tries to go public. We don’t know the exact details of Snapchat’s alleged conflict with Pompliano, as much of the lawsuit is redacted. We do know that Pompliano was hired away from Facebook where he ran “Growth and Engagement initiatives for Facebook Pages.” Pompliano’s lawsuit claims that Snapchat’s motivations for hiring him away from Facebook were twofold: Snapchat would acquire his skill set and eventually build a 40-person growth team around him, and it would also mean that the company’s biggest competitor, Facebook, would lose crucial talent. This screenshot references Imran Khan, Snapchat’s chief strategy officer. The lawsuit further claims that Snapchat set out to “destroy [Pompliano’s] career by waging a smear campaign against Mr. Pompliano by making false representations concerning the circumstances of his reputation,” because the truth surrounding Pompliano’s termination could be so damaging to the company’s IPO quest. Snapchat allegedly told its employees and third party social media executives that Pompliano was fired because he was incompetent.